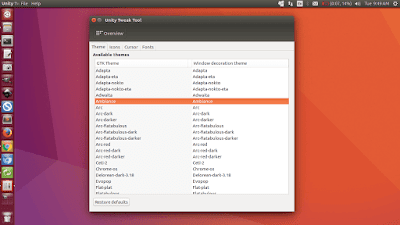 Cool Ubuntu Theme installation script - If you're fan of Ubuntu desktop customization, you may boring with the default Ubuntu theme and need to change your desktop view. 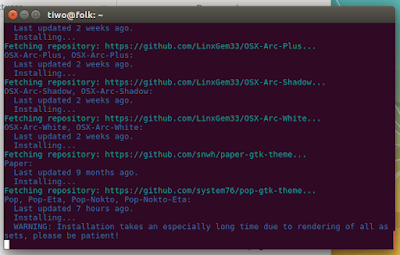 Thankfully, there's a script to install cool GTK themes developed by tliron. It supports GNOME versions 3.18 to 3.24, and will install the correct version according to your system. 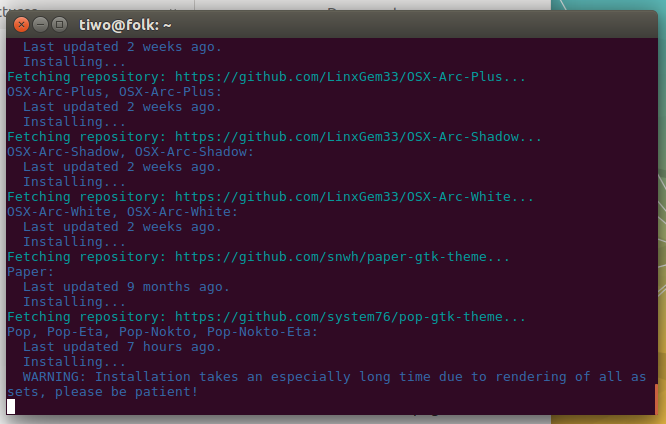 All of these themes provide at least GTK+ theming ( for both GTK+3 and GTK+2 ) and many also provide a shell theme. Some themes also provide application theming ( Firefox, Chrome, etc ). The screenshot above is the result of this tutorial in my Ubuntu 16.04 LTS Xenial Xerus. If you already have themes of the same names installed in your .themes folder, they will be deleted, so backup the folder first if you want to keep them. Other themes will not be touched. Step 4 - That's it! Time to download and build the themes one by one to your Ubuntu system. 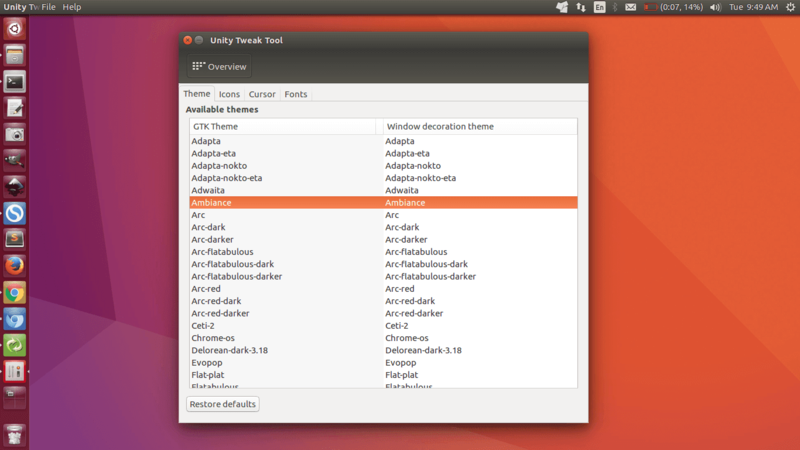 Once installed, all you need is open Unity Tweak Tool via dash, then change the Ubuntu default theme to your favorite theme.